Weaving nylon is strong and lightweight. Rust-resistant clip can control large dog pulling easily. If you need a durable design to direct 2 dogs, our design is the most effective choice for you. 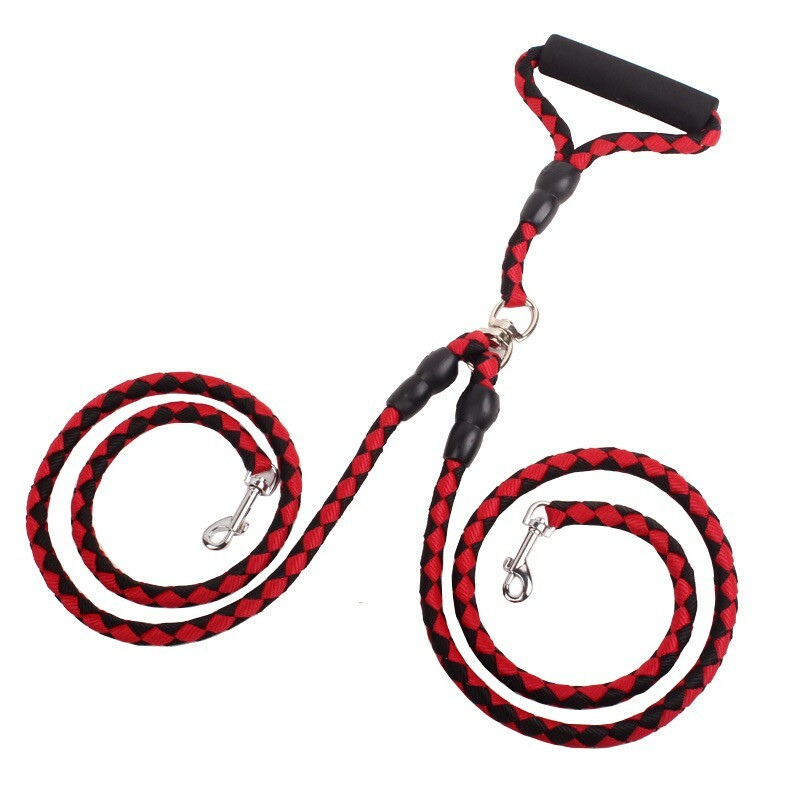 Swivel clasp is made for 360 degree rotation and let your pet enjoy the maximum freedom. Ergonomically designed handle with foam material reduce hand strain even on long walks. Using a leash that your pet will like to control in running. If your pet like the color, design or smell of the leash, he will be easy to accept the leash and that will makes running training easier. No matter a regular leash or retractable one are both acceptable. The only standard is that your pet needs to like that. If you’re a regular runner, you might need a special and professional leash for running, which can reduce the risk of chafing. Whatever accessory you use, please remember do not let that to be so tight that will hurt your puppy.